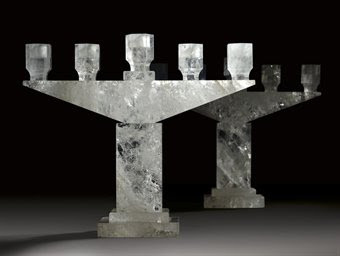 We had our rock crystal moment a few years back. 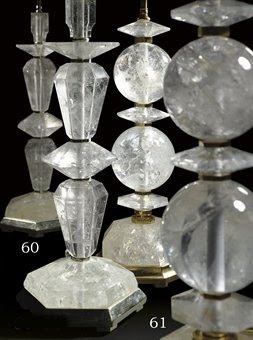 Obelisks, spheres, votives, and lamps made of quartz were de rigeur for a time. And while it was never as ubiquitous as coral (which, for the record, I still like), I got a little tired of it. That is, until now. 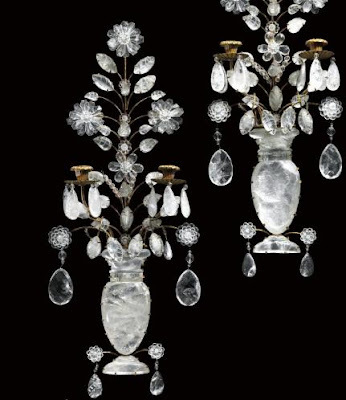 I was browsing through the catalogue for Christie's upcoming auction "European Furniture, Works of Art, Tapestries, and Carpets", to be held in New York on April 16. 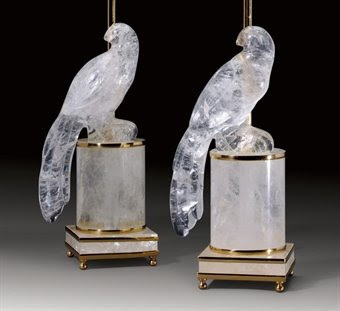 There are quite a few rock crystal pieces included in the sale, and now I'm smitten with the stuff all over again. What I am wondering, though, is if these pieces all came from the same collection. If so, aren't you curious about what the collector's home looked like? I feel so cleansed and at one with the world. ...actually, I like the candleabra. I just forwarded this to my husband. He is a fanatic for crystal!!! These are such gorgeous pieces. 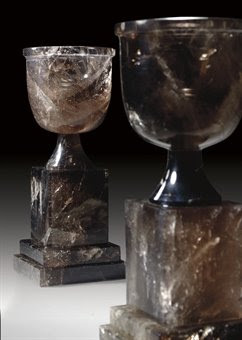 I want the dark-crystal vessels/urns. Such moody loveliness. 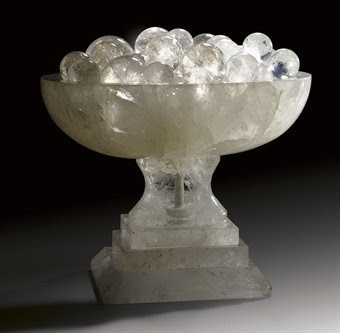 I still love rock crystal! These pieces are fabulous! !